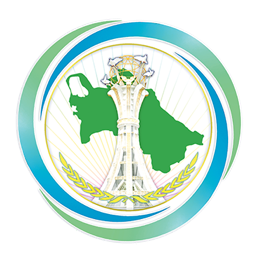 During the period of April 15-20, 2019, the external policy Agenda of Turkmenistan will be highly occupied. One of the main events of the week will be the state visit of the President of the Republic of Korea Moon Jae-in to Turkmenistan. During the visit, the high-level meetings will be held, as well as the substantial package of documents related to the political-diplomatic, trade-economic and cultural-humanitarian sphere will be signed. Also this week, a number of events dedicated to the 20th Anniversary of the OSCE Centre opening in Ashgabat will be held. To attend the international conferences and events, numerous high level guests will arrive to Ashgabat including the OSCE Secretary General Thomas Greminger. It is awaited that a meeting will be held between President of Turkmenistan Gurbanguly Berdimuhamedov and the OSCE Secretary General. In the framework of the events dedicated to the 20th Anniversary of the OSCE Centre opening, a Conference will be held in the Ministry of Foreign Affairs of Turkmenistan in participation of the heads of relevant ministries and agencies of Turkmenistan, the heads of diplomatic missions and international organizations accredited in Turkmenistan, as well as the representatives of local and foreign mass media. In addition, the meeting of the heads of OSCE Missions in Central Asia and the OSCE High-Level Regional Conference on “Struggling financing of terrorism and organized crime” will be held this week. Another significant event of the current week will be the visit of the Secretary of State of the Ministry for Europe and Foreign Affairs of the French Republic Jean-Baptiste Lemoyne to Turkmenistan. During the visit Turkmen-French political consultations will be held, as well as the third session of the Intergovernmental Turkmen-French Commission on Economic Cooperation. As a result of these meetings, the signing of bilateral documents will take place.